This is a game between two sides who have suffered poor times in the Euroleague this campaign. The Spanish side are playing for pride while Nizhny know that even if they win, a win for Anadolu or Laboral will end their playoff hopes. This could dampen the atmosphere for this game but with something still at stake for Nizhny, you have to think that they are going to be up for the battle in this one. Unicaja are already out of the running for the playoff spots and they currently hold a 6-16 record in the Euroleague. This consists of a 4-6 record in the regular season and a 2-10 record in the Top 16. Nizhny aren’t much better but they still have an outside chance of a playoff spot but they also need other results to go in their favour. The Russian side holds an 8-14 record in this Euroleague campaign so far, which includes a 5-5 record in the regular season and a 3-9 record in the Top 16. With respect to average points scored, the Russian side holds an advantage of 79.1 to 75.2. Taylor Rochestie has been in excellent form for Nizhny this season and at the moment, he is the top scorer in the Euroleague. He has notched an average of 19.2 points per game this season, making him a player that Unicaja will have to watch very closely if they are going to get anything from this game. Trey Thompkins has also been in fine form for the Russian side this season, offering an average of 8.4 rebounds per game this campaign. Rochestie has also provided an average of 5.9 assists per game this campaign, but focusing on him may create space for other players to come to the fore for Nizhny. Unicaja have been boosted by the form of Ryan Toolson this campaign, who has provided an average of 10.9 points per game this season. Another top player for the Spanish side has been Fran Vasquez, who has offered up an average of 4.9 rebounds per game this campaign. Jayson Granger has also been in fine form, offering an average of 4.2 assists per game. Granger was the key man the last time these two teams met as he grabbed 29 points, a Euroleague career high, in the 85-76 home win for Unicaja back in Round 6 of the Euroleague. They may be struggling in the Euroleague but Unicaja are flying high in the Spanish domestic league, sitting at the top with a record of 22-4. Their most recent domestic game was an 80-56 win over UCAM Murcia. Nizhny are in their dplace in the Russian league but they lead a clutch of teams sitting with an 18-7 record. 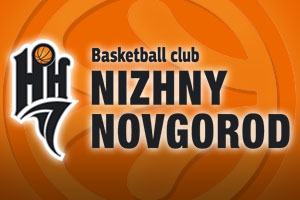 The most recent domestic outing for Nizhny was a 102-72 win against VEF Riga. Taking Nizhny with a -4.5 handicap, at odds of 1.90, is going to be a good bet if you are looking to spice up your Thursday night Euroleague fun. When it comes to the Over/Under market, you should look to go UNDER 166.5, again available at odds of 1.90. Bet Now!